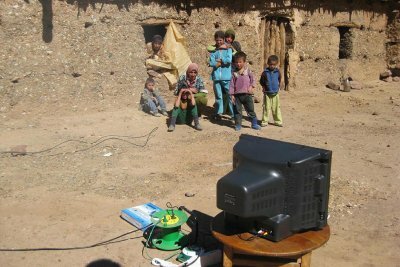 “Tea or electricity” tells the epic story of the implementation of electricity in a tiny isolated village enclosed in the middle of the Moroccan High Atlas. Over more than three years and season after season, the director patiently reveals the outlines of the net that will inevitably end up closing on the people of Ifri. Before our eyes is drafted the image of the merciless modernity that the small village will now be connected to.